Brethren and sisters, this should not be thus, because of the greatness of the subject of present truth. God speaks in his word to man. It is truth revealed, to be carried as a light that burneth into the darkened chambers of the mind, bringing order out of that which was to the mind confusion. It is truth revealing the darkness of error. The truth should be exalted in every mind. And where there are small companies in different places, who have accepted the truth, it is important that you who help compose their number should make their devotional services full of life and intensely interesting. 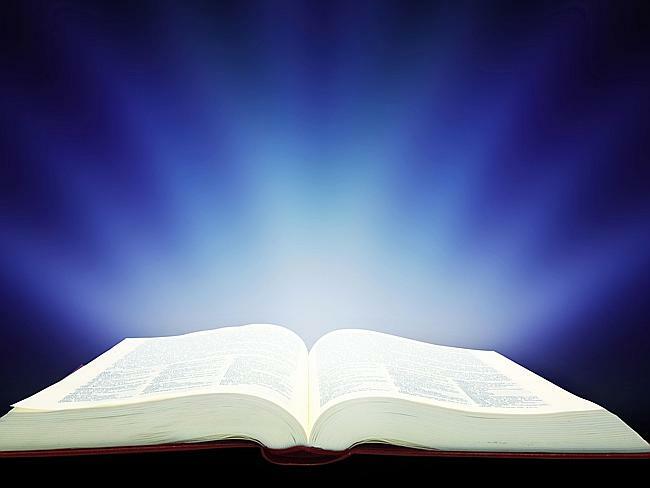 There are many who do not seem to feel that spirituality must have food to give it sinew and muscle; that man must live “by every word that proceedeth out of the mouth of God.” The word of God “liveth and abideth forever.” It must be brought into the life, and then earnestness will be brought into the religious service. Everyone should feel that he is responsible to God for all the talent he has given him, and that he should use these entrusted talents to God’s glory. Every true Christian is a missionary. While in this world, we are to consider ourselves in active service for the Master; and we should make this message of present truth which God has sent into our world of the highest importance. There are those who have an understanding of the Scriptures theoretically, and yet the religious meetings under their charge are spiritless and of no vital interest to the worshipers. God has given us tact; and if we have any power of influence, let us bring this power into active service for him. There are precious gems of truth revealed in the word of God which should awaken the deepest interest in the minds of all Bible believers. Then let him who opens the Scriptures cultivate fervency of spirit, that he may draw minds near to the Author of the word; and if there is a spirit of fervency encouraged in our hearts, we will not only have tact to interest others, but our own souls will be kept alive, our own hearts will feel the quickening influences of the life of his word. Every one who is brought into the service of Jesus Christ should seek to his very utmost to present the truth as it is in Jesus. There will be diligence to bring zeal and earnestness into his work. The Lord wants us to learn the trade of serving him in the most acceptable manner. The one who is engaged in the work of putting up buildings, has to learn the carpenter’s trade; and if he is a faithful worker, not slothful in business, he will show continual increase of knowledge, and a perfection in his work. Will our Heavenly Father be pleased with work done in his service in a careless, indolent manner? We must educate ourselves to do the very best work for our Master. When I first felt the burden for souls, I was a little past fourteen years of age; but, oh! how I pleaded with God to know what I could say to my young associates that they might be led in the right way! I felt that I must have success; that I must do the work for the Master, and God would give me wisdom. When I was sixteen years old I commenced active labor in public. I felt that I must meet my work in the Judgment, and that the manner in which I did this work would be registered in the books of heaven. The skill with which the carpenter uses his tools, the strength with which the blacksmith makes the anvil ring come from God. Whatever we do, wherever we are placed. He desires to control our minds, that we do perfect work.... The essential lesson of contented industry in the necessary duties of life is yet to be learned by many of Christ’s followers. It requires more grace, more stern discipline of character, to work for God in the capacity of mechanic, merchant, lawyer, or farmer, carrying the precepts of Christianity into the ordinary business of life, than to labor as an acknowledged missionary in the open field. It requires a strong spiritual nerve to bring religion into the workshop and the business office, sanctifying the details of everyday life, and ordering every transaction according to the standards of God’s word. But this is what the Lord requires. Counsels to Parents, Teachers, and Students, 277-279. “In his earth life Christ was an example to all the human family, and he was obedient and helpful in the home. He learned the carpenter’s trade, and worked with his own hands in the little shop at Nazareth..... He was not willing to be defective even in the handling of tools. He was perfect as a workman as he was in character.”—Special Testimonies on Education, 37-39.